All candidates brought the issue of commercial vs. residential tax load into the mayoral debate. There is an estimated 3.89 per cent tax increase coming after the election. 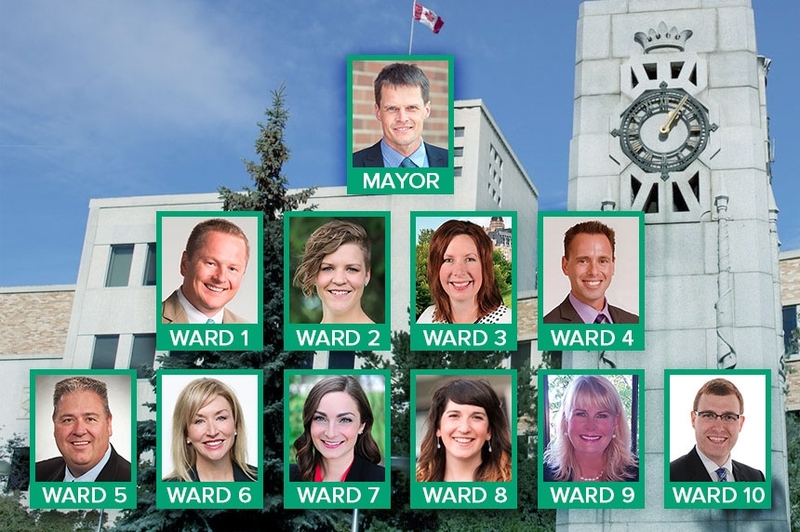 Some candidates disagreed with the value being released by City Hall, expecting it could balloon to more like 6 per cent. In any case, the conversation arose regarding the burden of tax proportions between residential and commercial property owners. The current ratio is 1:1.75, in favour of residential owners. Don Atchison ran on a platform of possibly lowering the ratio for business owners once the economy recovers. Charlie Clark, who was declared mayor at the final count, indicated he is hesitant to lower the burden on businesses because inevitably it impact residents. The current ratio has been the status quo for several years. It was at one time, much higher in disfavour of commercial property owners. I predict the incoming council, made up of six incumbents and four newbies, will leave things as is for the time being. Saskatoon residents remain divided on their opinions of the bike lanes. Talking to folks around town, it seems you’re either for them or against them. There doesn’t seem to be much middle ground. Clark is an outspoken supporter of bike lanes from his time as a Councillor. Atchison was on the other side of the argument, publicly stating he’d rip them out if given the opportunity. The beautiful part of democracy is that one voice is just that. It can’t do much without the help of other voices. The position of mayor is no different. He or she is just the leader of a group of Councillors with their own concerns and agendas. The investment in bike lanes and new leadership would indicate they aren’t going anywhere soon. But the expansion of them, for example, would need a consensus from Council. Clark, in his first interview post-election, stated that he doesn’t see a massive change in the works for the immediate future. He has been a Councillor in Ward Six since 2006 and knows all too well how the wheels of progressive change can be slow. He has stated he hopes to focus on bus rapid transit. This plan, he suggests, may attract people to move into downtown. If he’s right, there could be a positive impact for business owners in the core. But like all great plans, Clark also warns that patience will be required. Let’s hope his optimism and ideas are ratified by our new council resulting in a rejuvenated Saskatoon. And if not, maybe they can just get around to filling more potholes in my neighbourhood next year.